Canada’s vast expanse has helped preserve its rich architectural history. In cities and rural areas throughout the country, many remarkable bygone structures remain in supreme condition, as if time had forgotten to touch their stone façades and interiors. Canada has commemorated its history as a country since the first official Canada Day in 1868. And many Canadian chefs are honoring this culinary-focused society by preserving it in brick and mortar. 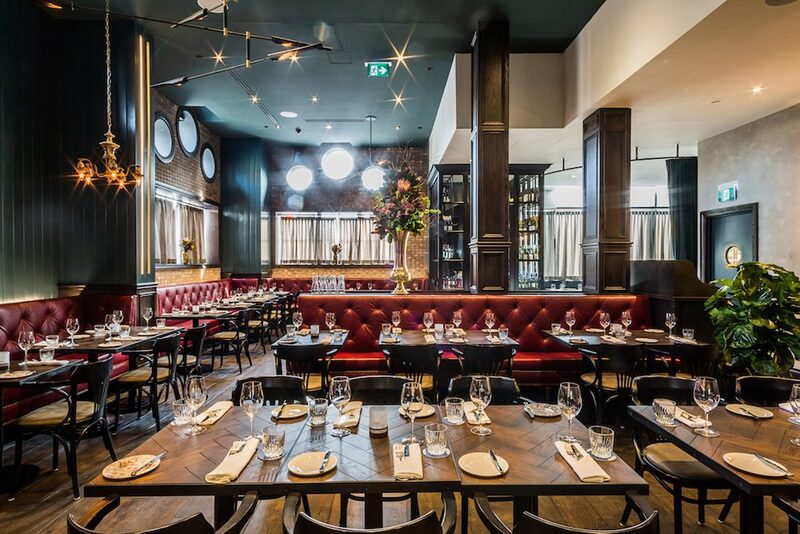 Here are a few of our favorite restaurants in reclaimed spaces in Canada located in buildings from the nation’s storied past. Not near any of these interesting spots? We can help you find the right restaurant in your city on OpenTable.com. The Five Fishermen Restaurant tells one of Canada’s most dramatic architectural tales. This original schoolhouse dating back to the early 1800s was also the famed Halifax Victorian School of Art envisioned by its larger-than-life proprietor Anna Leonowens. She was the former governess to the children of the King of Siam, a story she chronicled that would go on to become plays and films most recognizable as The King and I. Upon her departure to a new space, the Snow family acquired the building and ran the successful John Snow & Co. Funeral Home. The mortuary business received its greatest tragedy when in April 1912 rescue operations out of Halifax responded to the sinking of the R.M.S Titanic off the coast of Newfoundland. John Jacob Astor IV and Charles M. Hayes were among passengers brought to Snows Funeral Home for further arrangements. 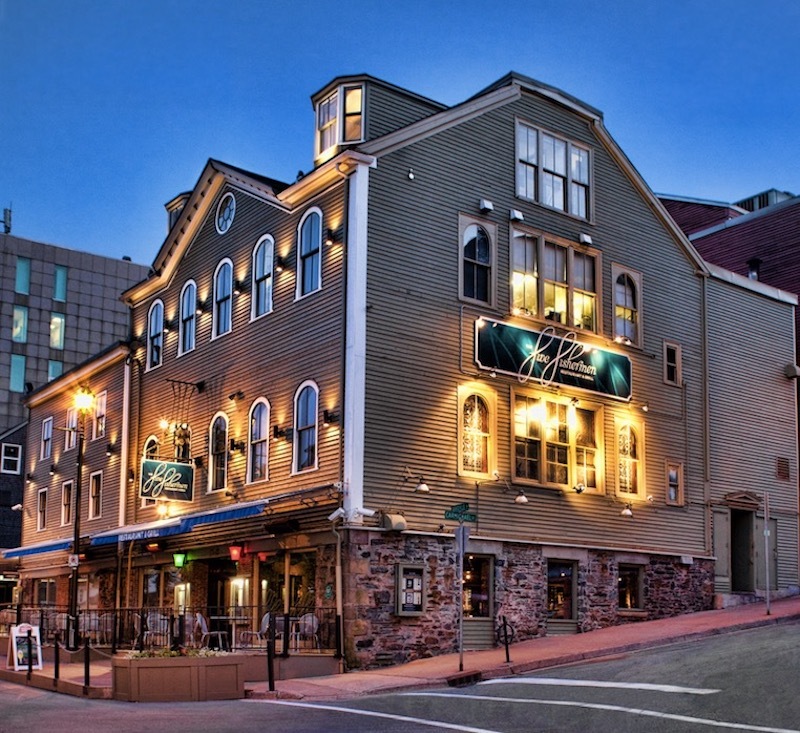 Today, the building is best known as one of Nova Scotia’s finest restaurants, The Five Fishermen, both for the cuisine and service. Must-try dishes include Nova Scotia seafood chowder, red beet hummus, spiced pork belly tostada, the five fish special with green pea risotto, lobster pot pie, and any whole grilled fish on the menu. Make a reservation at The Fiver Fishermen. Mills played an important role in the history of just about every major town through North America, both as the central economic source for residents — or their demise when the mills closed. 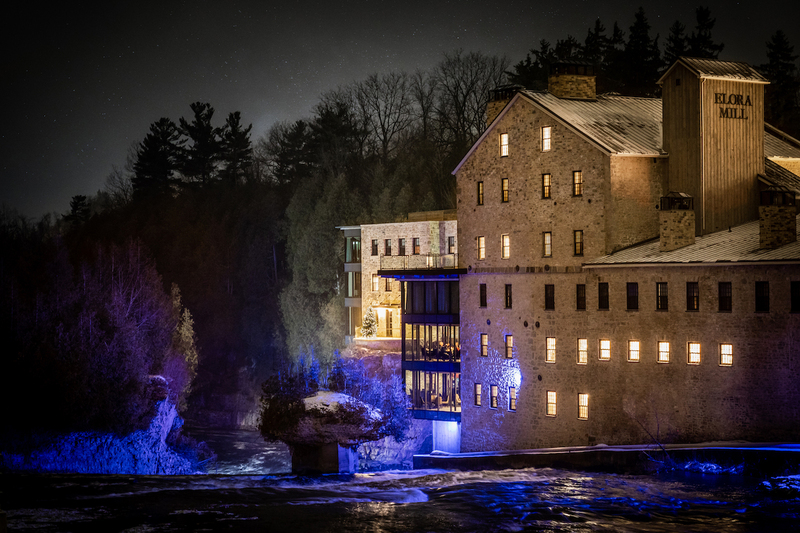 One of Canada’s finest examples of a historic mill reimagined is the glorious Elora Mill. From the solid limestone foundation constructed between 1851 and 1859 to the fires that devastated it, Elora Mill has survived incredible odds to become NR. Drimmie & Sons’ granary in 1944. It opened as an inn in the 70s but fell prey to the hands of time. In 2010, Pearle Hospitality’s Aaron Ciancone came to its rescue. Just a few months ago, Elora Mill Hotel & Spa opened its doors and is already one of the region’s best places to grab a slice of history and exceptional cuisine. Popular menu items include the lovingly selected cheese course, pan-seared foie gras, roasted pumpkin soup, classic beef carpaccio with arugula, pickled shallots, capers, and toasted hazelnuts, and, in larger plates, bucatini all’Amatriciana with spicy sopressata and Vanden Dool Farms venison. Make a reservation at Elora Mill. In 1902, the Trapp Block building was the crown jewel in Thomas and Samuel Trapp’s New Westminster hardware business. Listed on the Canadian Register of Historic Places, it is one of the Lower Mainland’s most significant architectural structures with a seven-story terra cotta façade. When the town launched its downtown revitalization program, the building emerged as a fine place for El Santo, one of New Westminster’s most flavorful gathering spots. 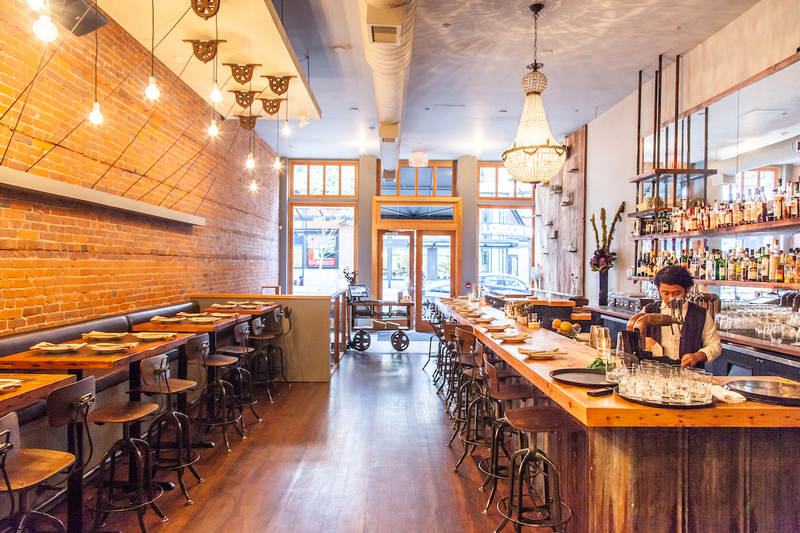 El Santo is known for locally sourcing many ingredients as part its innovative Mexican cuisine in dishes like wild boar croquettes with pickled blueberries, fermented basil crisps, and corn jus, ling cod or bone marrow tacos, and British Columbia ocean perch pescaito frito. 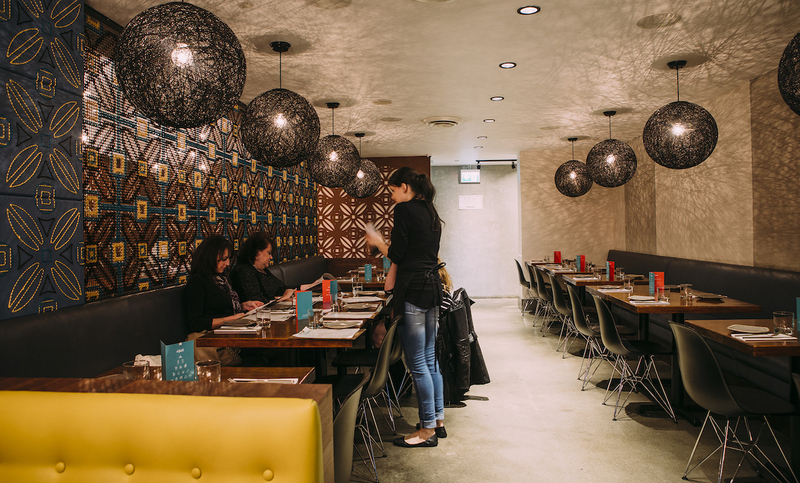 Make a reservation at El Santo. Canada’s vibrant maritime history remains etched in the memories of its citizens who have worked hard to keep it alive for future generations. 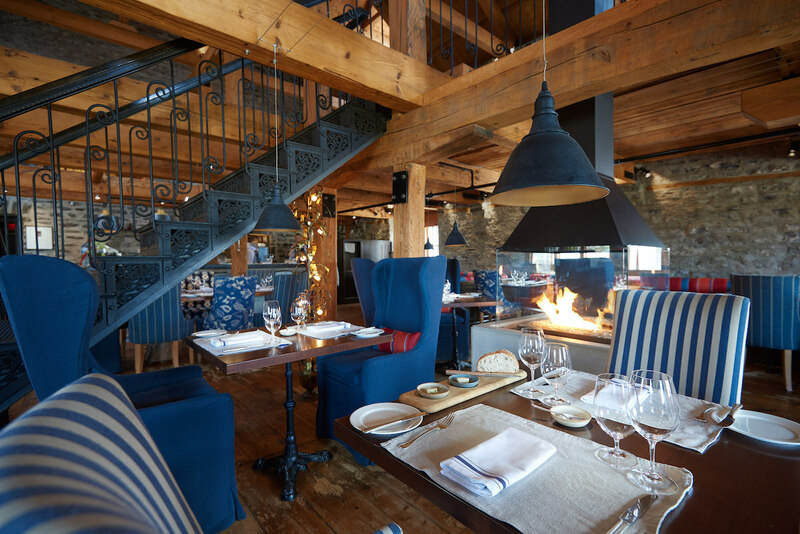 Within an 1822 warehouse overlooking the St. Lawrence River, Chez Muffy has maintained the original stone walls and wooden beams in this familiar Québec City building. The restaurant is located in the Relais & Chateaux member property the Auberge Saint-Antoine Hotel, named for the hotel’s matriarch, Martha “Muffy” Bate Price. Many of the tasty ingredients arrive directly from the hotel’s nearby Île d’Orléans farm. Diners return time and again for the classic braised, rotisserie and grilled recipes notable in French and Canadian cuisine, like housemade pork sausage with apple spaetzle, Lake Saint Pierre walleye, red deer striploin, and partridge. Diners often stroll through the hotel to view displayed artifacts that date back to the 1600s from an archeological dig that happened during construction. Make a reservation at Chez Muffy. More than a century ago, The Broadview Hotel occupied one of Toronto’s gentlemen’s clubs. Today, inspired by the Victorian British Empire era, The Civic evokes the best of the past in present-day fashion. The architecture of this stunner includes the original brick façade with factory glass windows and a stained wood bar, plus an unexpected treasure in the soaring wine cellar. The Civic is known for dishes like the impossibly smooth chicken liver parfait with maple poached cranberries, mushroom and lovage tagliatelle, cocoa and chili-crusted beef rib, and tea-smoked duck breast. Make a reservation at The Civic at the Broadview Hotel. The Salted Vine’s contemporary farmhouse décor is a thoughtful homage to the pioneering spirit and work ethic of early Squamish residents back when it was a railway terminus and logging outpost. In what has become the connective tissue linking Vancouver and Whistler, Squamish‘s oldest building dating back to 1910 houses The Salted Vine. Natural light pouring through the dining room illuminates the red and grey color combination and sliding barn door behind the bar. Timber remains a focus of the décor in reclaimed poplar wall panels, tables, and maple serving platters custom-milled, cut, and finished by Paradise Valley’s Raven Timberworks. A few of The Salted Vine’s many swoon-worthy menu items include twice-baked Avonlea cheddar soufflé, sunchoke risotto, tortiglioni spicy chorizo ragu, slow-cooked pork belly, and ling cod. Make a reservation at The Salted Vine. 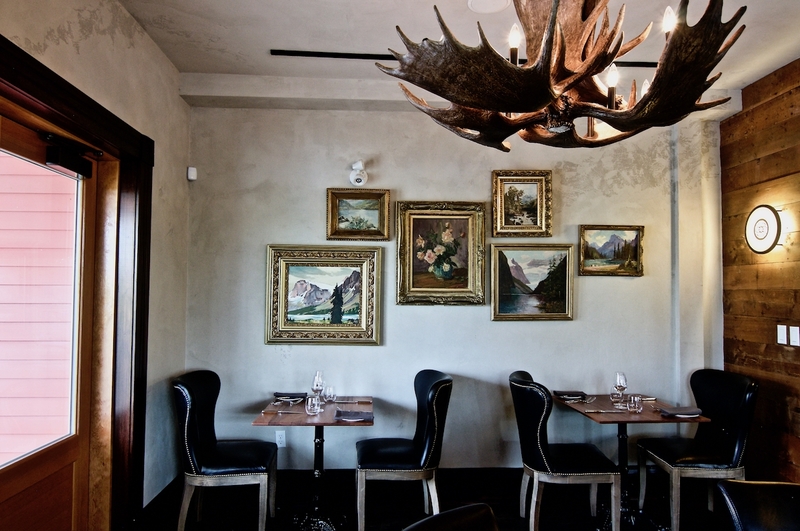 The carnivorous paradise of Wildebeest is located in a refurbished 19th-century building in the city’s historic Gastown district. In a nod to classic butchery, it is famed throughout the region for hearty proteins prepared in elegant fashion. During the holidays expect to find classics like smoked goose breast and leg terrine and lamb belly with alluring garnishes. Dishes such as roasted elk loin with crispy potato terrine, pickled and roasted winter vegetables, rosemary oil, and dark chocolate jus feel right at home in this multi-level, open kitchen concept space with banquette seating, cocktail bar, and lounge. Make a reservation at Wildebeest. 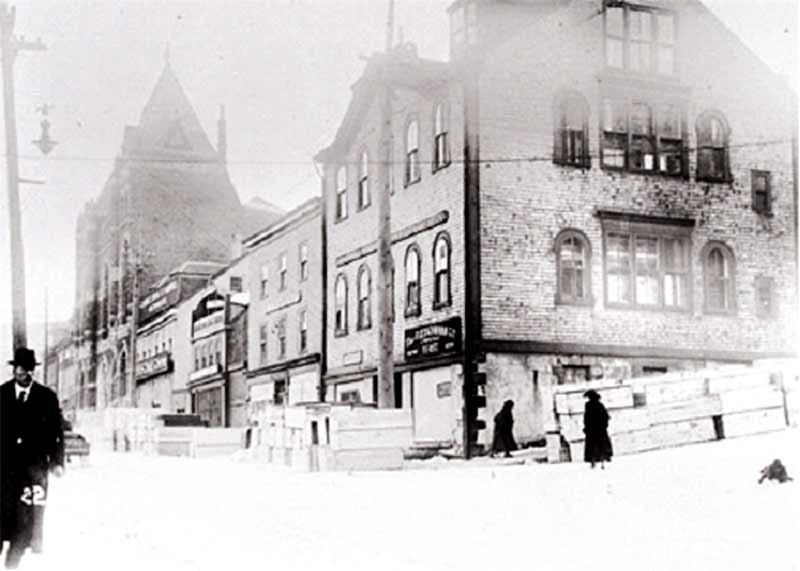 The year was 1910 when the Union Bank of Canada building was the centerpiece of the town. 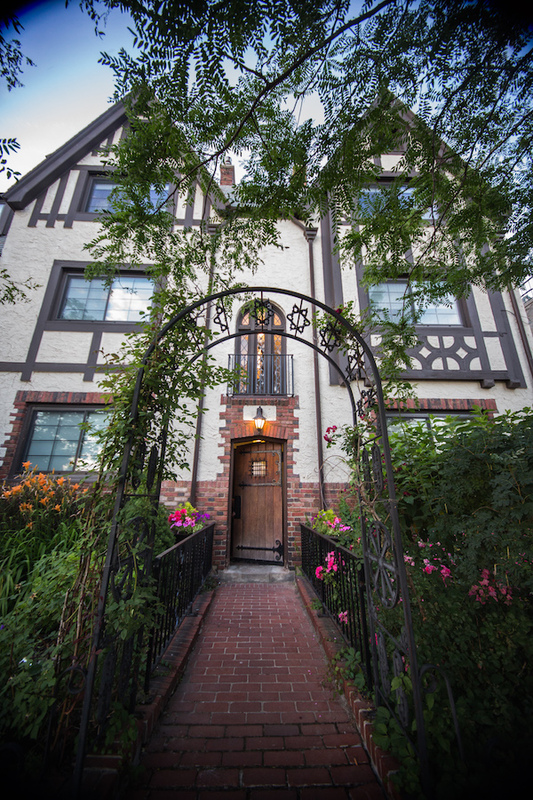 Inside this stronghold of historic structures is now one of Edmonton’s most charming boutique hotels and eateries in the only pre-1914 era bank building that remains on Jasper Avenue. The exterior of Madison’s Grill is recognizable by the Bedford limestone base and red pressed local brick, while the inside tells a tale of elegance and service in white columns, a fireplace, and rounded windows framing the dining room. Madison’s Grill draws diners in search of lobster truffle fettuccini, scallops and lamb shank, chevre-stuffed pork loin, prosciutto chicken forestiere wrapped with creamed leeks, and red wine-braised rabbit with confit fingerling potato Lyonnaise. Make a reservation at Madison’s Grill. In a stunning update to one of Calgary’s historic homes, to dine at Deane’s House is to be surrounded by lush interiors that evoke Canada’s hearty outdoors (think enormous antler chandeliers) and serene gardens located on the grounds. Superintendent of the Royal Northwest Mounted Police Captain Richard Burton Deane commissioned this Victorian treasure when he was stationed at Fort Calgary in 1906. Dishes like bison tartare with juniper aioli, beef cheek perogies, lamb sirloin, and duck confit reflect the use of peak seasonal ingredients from the region, including Spatchcock chicken which serves two. Make a reservation at Deane House. 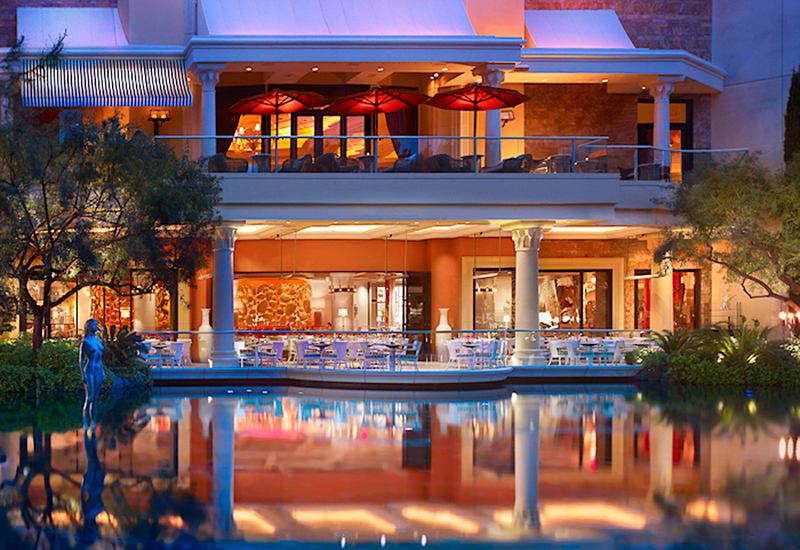 If you’ve caught the latest blockbuster featuring a certain trident-bearing superhero and have aqua life on your mind, take dinner and a movie to the next level by following it with a meal at one of these fun restaurants with water features on OpenTable and extend the magic. If that isn’t enough for your aquatic appetite, head over to KAYAK for a roundup of four dazzling travel destinations that are underwater alternatives to Atlantis. 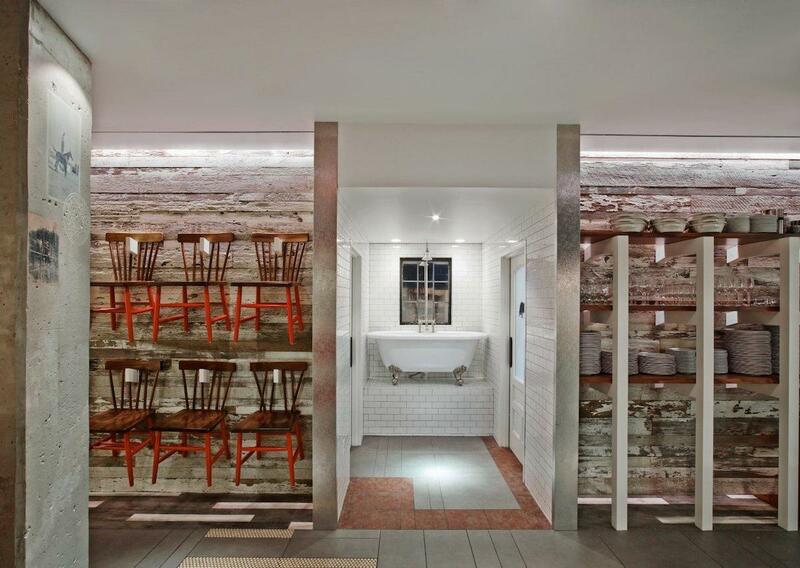 This underground courtyard dining room feels like it’s submerged. That’s because a five-tier granite water wall consumes one side of the subterranean space. The sound of rushing water adds a tranquil tone to the dining experience. Make a reservation at Dakota’s Steakhouse. Now you can walk on water. 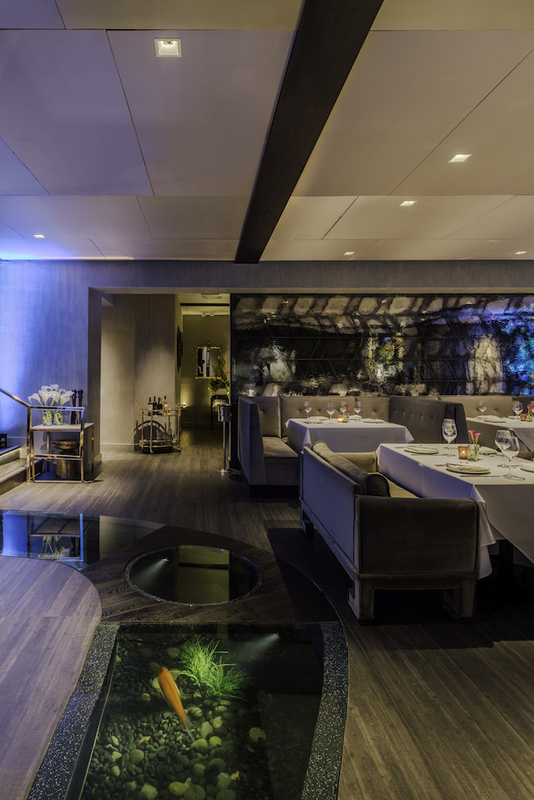 A massive aquarium embedded in the floor snakes its way through the cocktail lounge, doubling as an eye-catching pathway leading you to the main dining room. 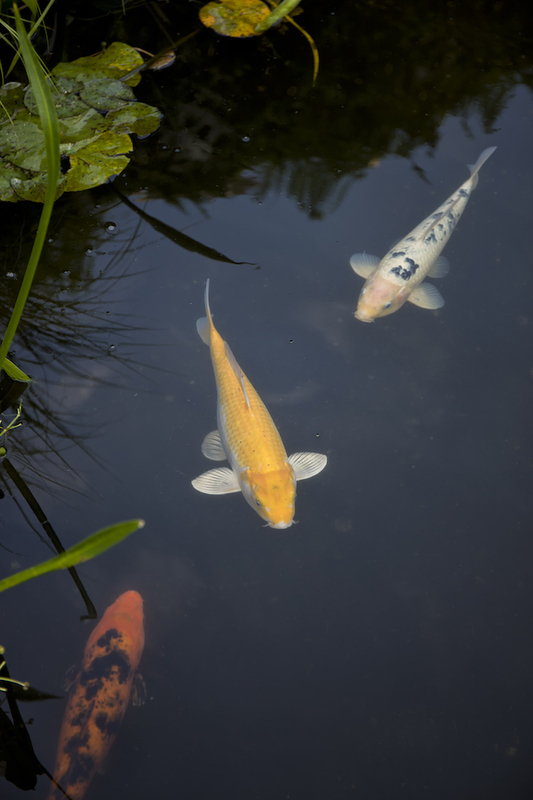 Peer into the depths below and you’ll spot koi lazily swimming by. Make a reservation at Crustacean. Don’t go chasing waterfalls. 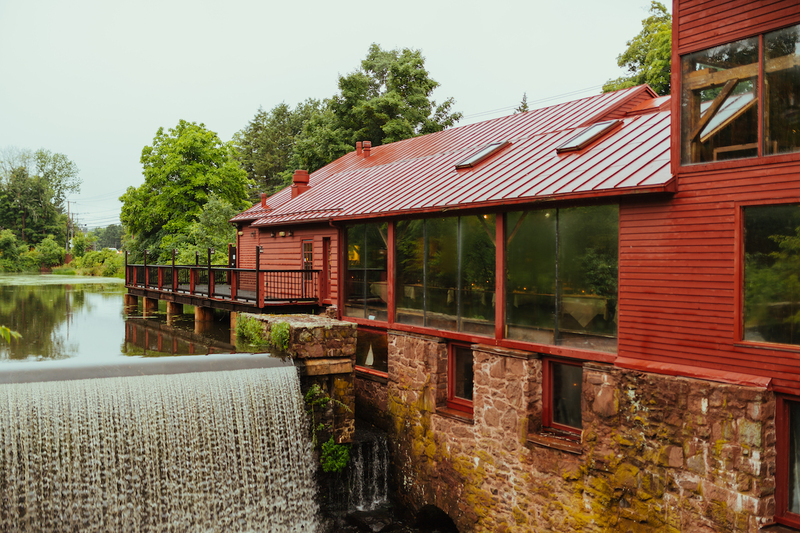 Just book a table at this 17th -century mill-turned-restaurant. The dining room has gorgeous views of the waterfall outside on Hop Brook. Make a reservation at Millwright’s. The terrace is the perfect spot to perch for breakfast, afternoon tea, or a stem of something sparkling before dinner. A charming koi pond runs from one end of the stony patio through an archway into the adjacent courtyard. Just like the rest of the inn, it’s a little slice of heaven. 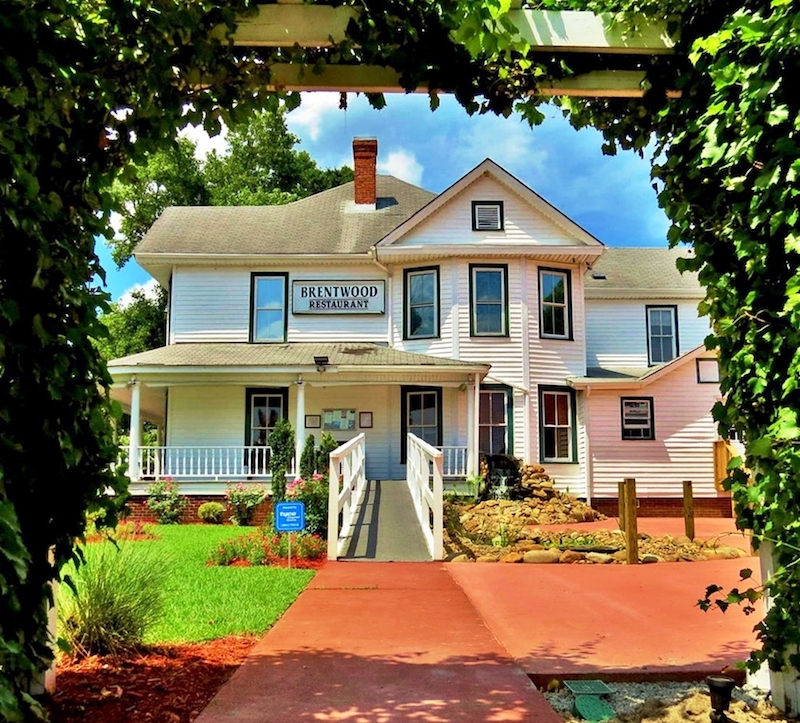 Make a reservation at The Inn at Little Washington. Farmers Fishers Bakers, Washington, D.C.
Rub-a-dub-dub, check out this tub! Set between the men’s restroom and women’s, it’s constantly being filled by the shower overhead. No matter how many tiki drinks you’ve knocked back, it is not appropriate to hop in to cool yourself off. Make a reservation at Farmers Fishers Bakers. 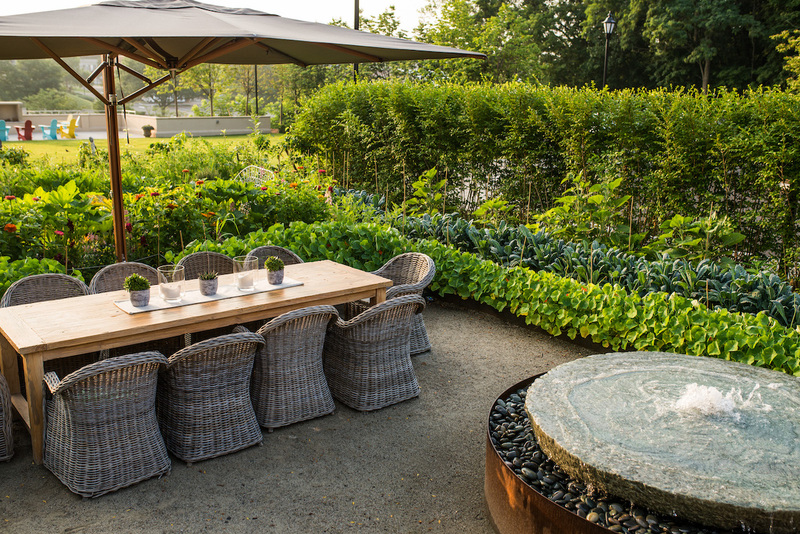 The outdoor dining room is set in the middle of the garden that supplies much of the restaurant’s seasonal produce. To set the soundtrack, there’s a 6-foot round, knee-high oxidizing water fountain bubbling away in the background. So relaxing, you may never want to leave. Make a reservation at Artisan. The Lake of Dreams lives up to its name. Dinnertime shows staged on it feature a 40-foot waterfall bedazzled with 4,000 lights, stunning holographics, and puppetry. Your jaw will drop, so don’t forget to chew. Make a reservation at Lakeside. Sometimes one isn’t enough. A growing number of restaurants conceal a second, discrete experience – from exclusive tasting menus and all-you-can-eat extravaganzas to karaoke bars and Champagne rooms. Double your fun at these 10 restaurants within restaurants for a true insider experience. Not near any of these chic spots? We can help you find the right restaurant in your city on OpenTable.com. 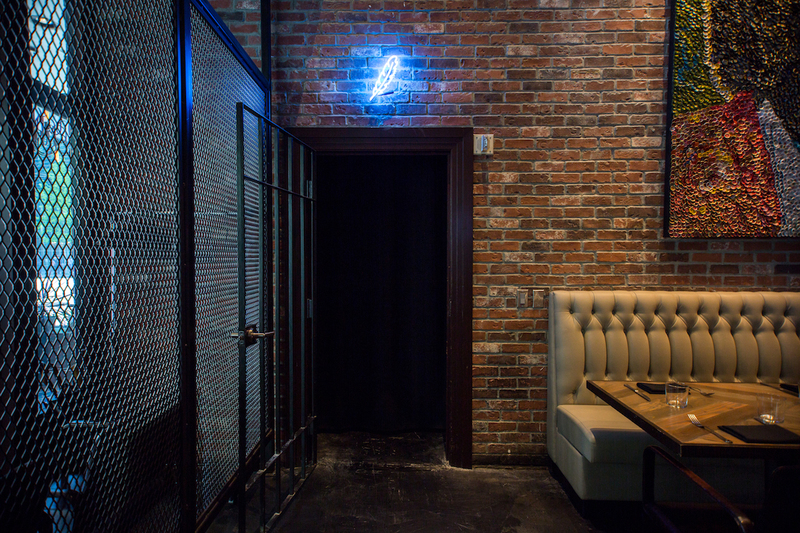 Look for the neon feather to access the private karaoke room, which holds 8-12 aspiring American Idol contestants and has 20,000 songs available. Singers can take a break from mic duties to sip on rock ‘n’ roll inspired cocktails and globally minded small plates. Best of all, there are no judges on hand to make soul-shattering remarks about the performances. Make a reservation at Outlier. The tasting menu experience has only one seating a night. 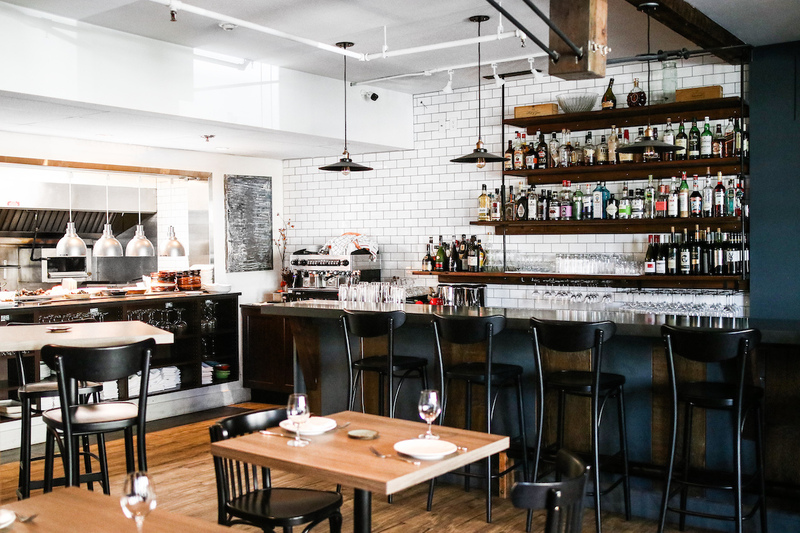 Nine guests sit at the bar while another 30 are ringed around a trio of communal tables. Guests are treated to 15-20 dishes cooked on the wood-fired grill and the plancha, which are complemented by Spanish wines and cocktails featuring local produce. Make a reservation at Ave. Located on the meatopia’s third floor, this room was designed to evoke the inside of a Champagne bottle. Nibble on luxe hors-d’oeuvres, including caviar service, miso-glazed octopus, lamb lollipops, and foie gras mousse. Of course, there is a stellar selection of Champagnes to enjoy, available by the glass and the bottle. 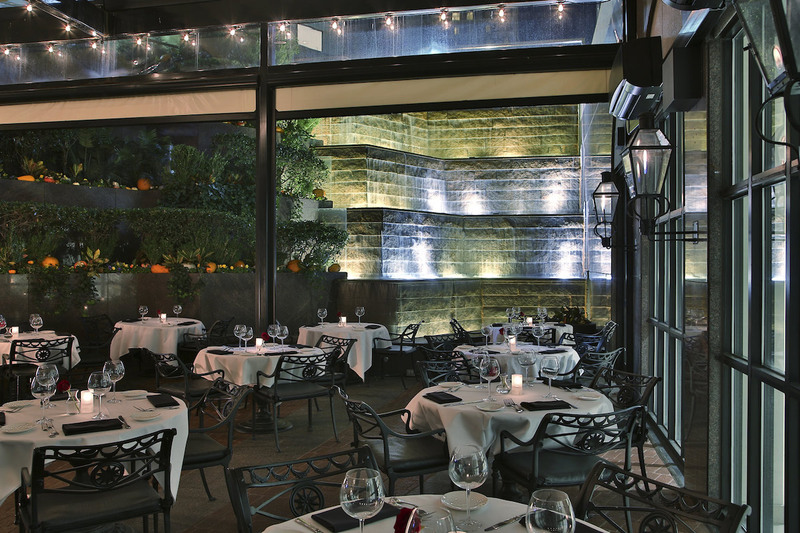 Make a reservation at Del Frisco’s Double Eagle Steakhouse. 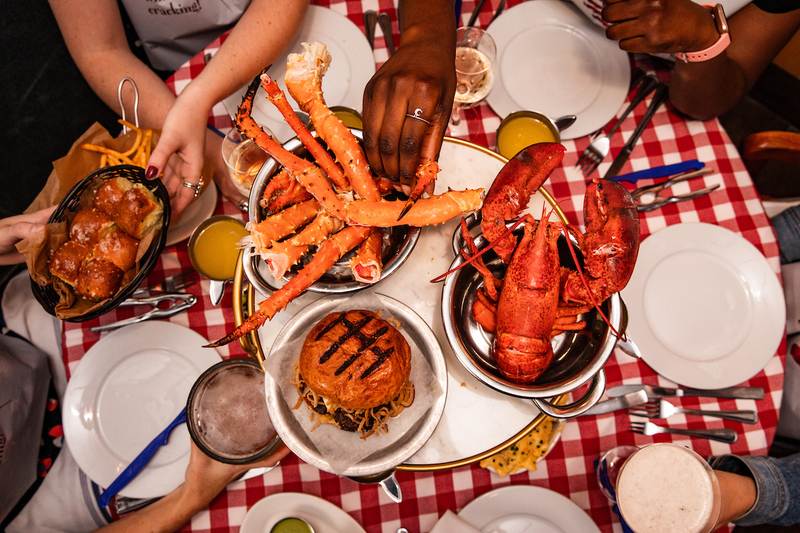 Unlimited Alaskan king crab and burgers sound like a dream come true to us. The high-end surf ‘n’ turf bonanza comes with sides like mac ‘n’ cheese, boardwalk fries, and jalapeño hush puppies. Wash it all down with bottomless slushies and brewskis. Make a reservation at Crab Cellar. Nightlife impresario Omar Hernandez oversees this buzzy oasis. 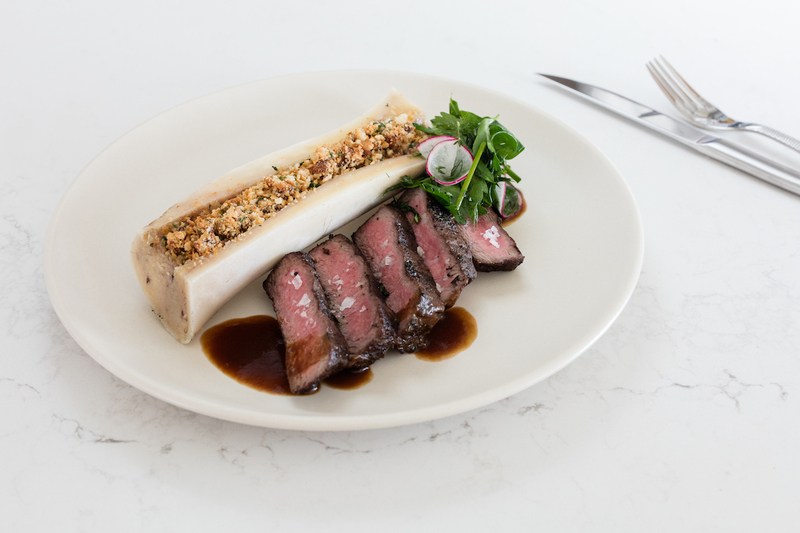 The menu features appropriately indulgent fare, like caviar service and a 42-ounce tomahawk steak, alongside plenty of dishes for those watching what they eat, such as Mediterranean salad and rotating crudos. Live music and DJs keep the mood lively, so you’ll soon forget you’re on the Upper East Side. 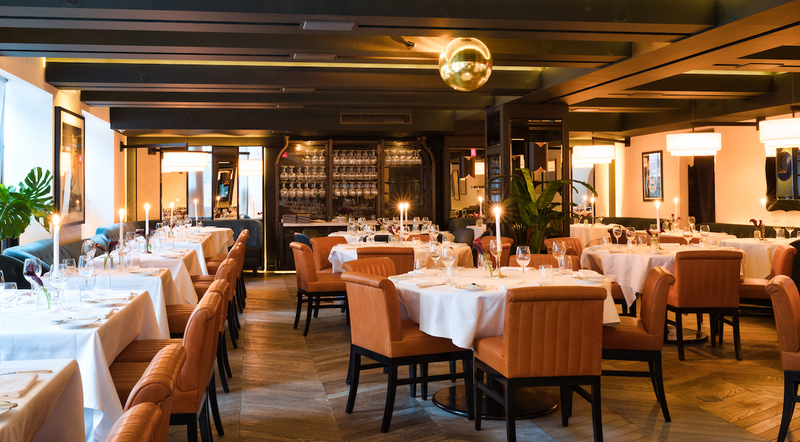 Make a reservation at Vaucluse. At this pizzeria within an osteria, thin crust pies are on deck for lunch and dinner every day of the week. 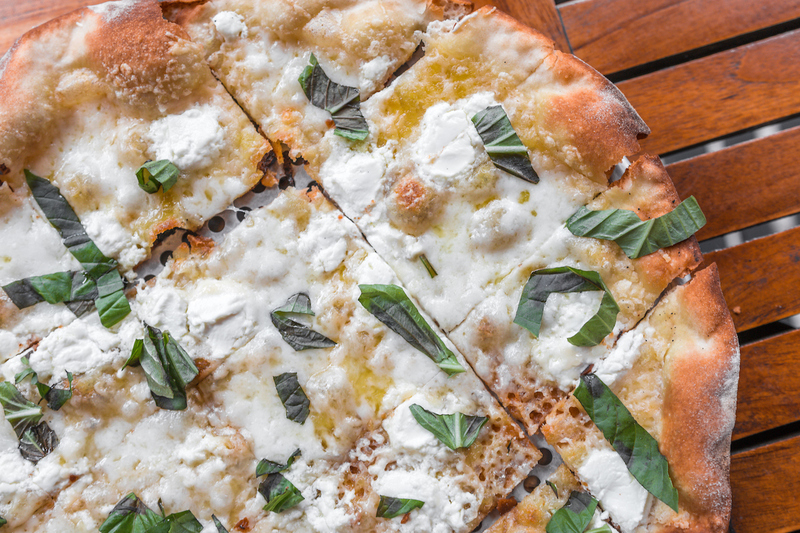 Take down Roman-style ‘zas along with small plates, salads, steaks, and pastas. Complement your meal with a Negroni, Bellini, or Italian-minded sangria. Make a reservation at Pizzeria Via Stato. Looking for an afternoon lift or a late-night bite, hit up this boîte-y bar. Of course, you can get pork belly buns and ramen. There are also creative cocktails, such as the Herb-a-Peel with cachaça, plantain, artichoke, and cassia, and Bok to the Beet with gin, beets, blood orange, and bok choy. 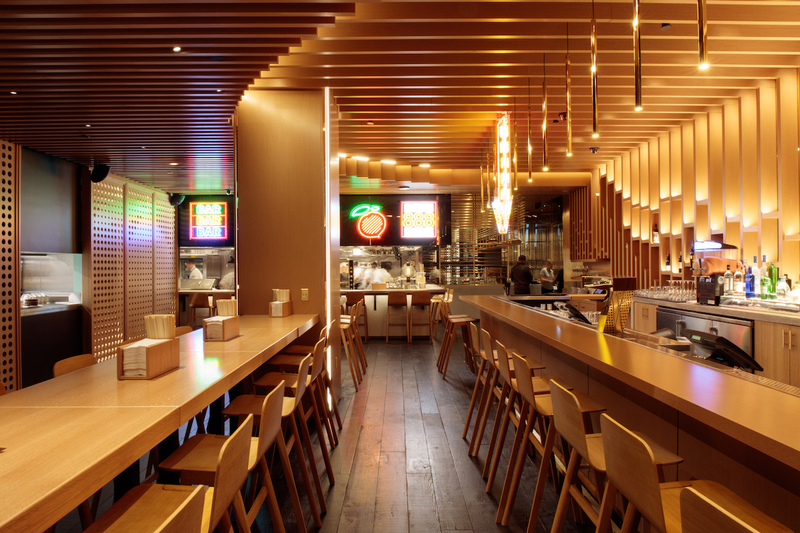 Make a reservation at Momofuku. Among bestselling author V.C. Andrews’ spookiest prose, she writes: ‘There are shadows in the corners and whispers on the stairs.’ Reading those words, it’s easy to imagine apparitions floating in passageways and showing themselves in orbs unseen to the naked eye, but visible only to the camera lens. While some restaurant owners and managers prefer to hide tainted history, others wear spooky like a badge of honor and diners can’t get enough of it. Reservations may spike during late October, but the truly spooky stay busy. Here are 10 of our favorite spooky restaurants in America to get the creeps around Halloween or any time of year. Looking for something without a side of the scares? Check out OpenTable.com to find the right restaurant for you. Arguably one of the loveliest restaurants in America also holds the title of being one of the spookiest. In fact, The Brentwood Restaurant is so spooky, this Little River, South Carolina structure and its ghosts were featured on A&E Biography Channel’s Strange Happenings episode in 2011. 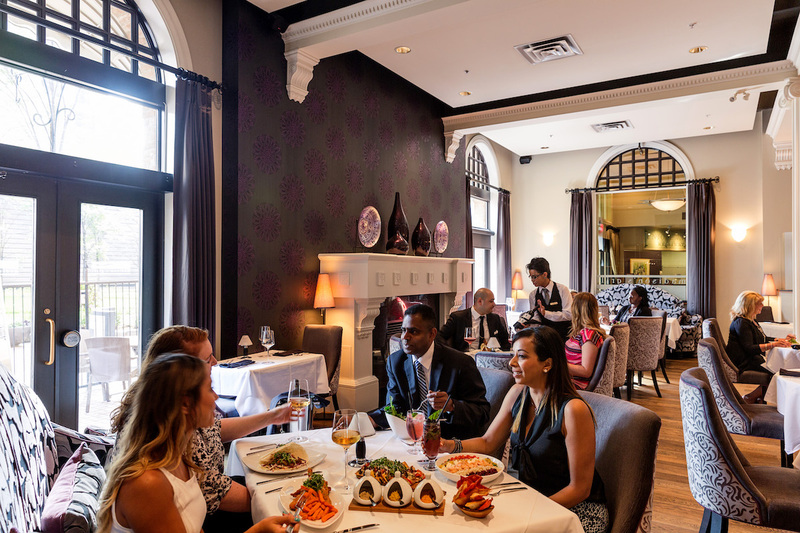 The restaurant and wine bistro flawlessly integrates French and Lowcountry cuisine in mouthwatering dishes like she-crab soup with dry Sherry and beef Wellington, artfully prepared by French chef Eric Masson. Aside from the culinary success, Brentwood is famed for the unseen people who inhabit it. Originally the dream home of Clarence and Essie Bessent-McCorsley, Essie loved the house and in the wake of her husband’s death, she stayed, taking in boarders to make ends meet, the house a lovely setting for a hot breakfast and good night’s sleep among its double-sided fireplaces. No one seems to know who haunts Brentwood, but the essence of these permanent residents have been caught on actual surveillance video and aired in an WMBF news segment. Masson and others report sightings of a dark, fast shadow passing by the upstairs bathroom going into the front room and through the fireplace, a face in the upstairs window when no one was there, orbs clearly visible in pictures, and a small child appearing in a surveillance camera. People have heard sighing voices and gotten locked in the infamous bathroom and reported equipment starting by itself. Diners often schedule Brentwood ghost tours and, naturally, on Halloween, the restaurant has several tours following dinner. Make a reservation at The Brentwood Restaurant. 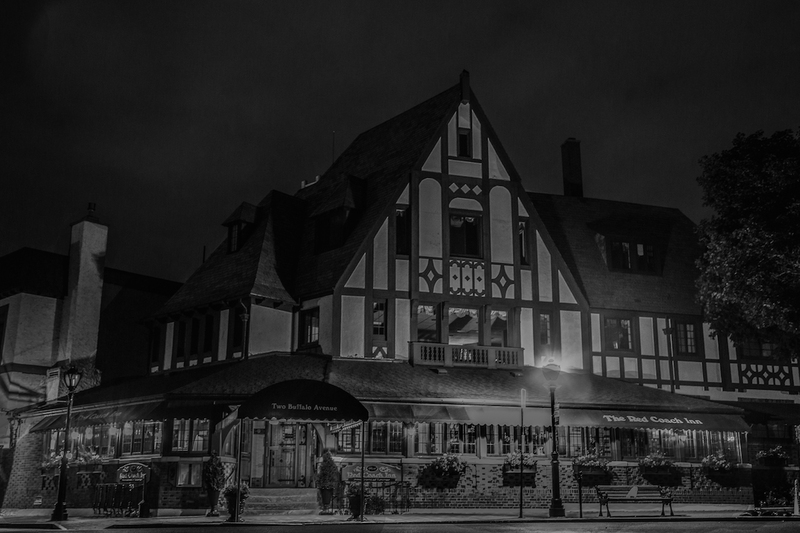 “Constance really is an unsettling presence, which is fun around Halloween,” says one fan of Chicago’s Lawry’s The Prime Rib and adjacent sister restaurant SideDoor and their ghost, Constance Plummer McCormick. Constance has been a regular in the building since the early 1900s when she was the belle of the Chicago social scene, hosting lavish balls in what was then the McCormick Mansion. It became Lawry’s The Prime Rib, Chicago’s famed steakhouse in 1974, but no one seems to have told Constance that. She still hangs around the architectural masterpiece at Ontario and Rush Streets, where she hosted guests including Kings Edward amd George and the Duke of Kent. 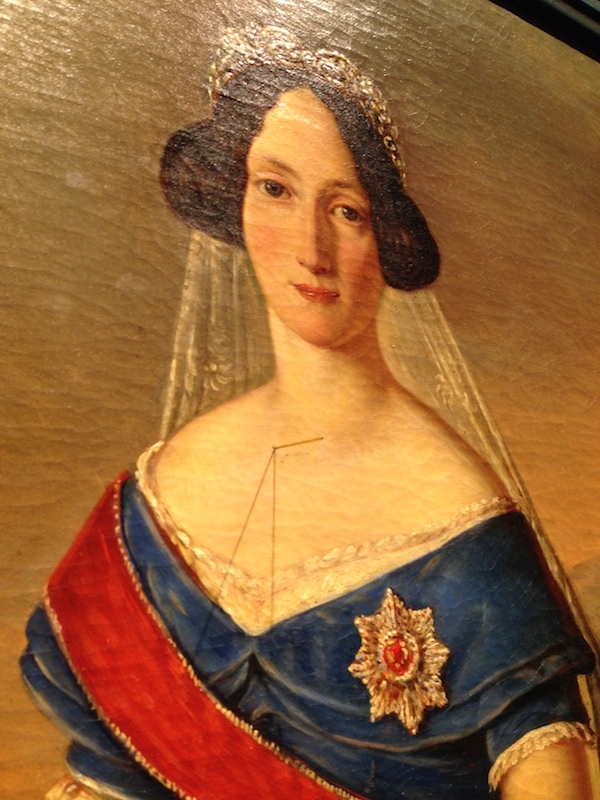 Those who know her also refer to Constance as the “Matriarch of the Mansion” or the “Lady in Blue.” Nighttime cleaning crews have reported seeing Constance rocking back and forth in the Regents dining room, while servers have felt her presence and heard footsteps in spaces absent of living human feet. When crews discovered a fireplace behind the wall during construction of the adjoining Sidedoor, which was the mansion’s family dining room and covered it with drywall, Constance revealed her displeasure at the rearranging of the dining room – the next day in a painting of herself appeared a shard of metal under her right shoulder. Constance is no shrinking violet. In another mischievous mishap, crews also found a 400 pound, 55-gallon drum knocked over that no living person could have moved, its contents spilled onto the floor with no one there to blame. Except Constance. Make a reservation at Lawry’s The Prime Rib. You can’t cross the street in Charleston without hitting a ghost; spirits from ages past cling to the carriages and architecture, like the generations of Spanish moss hangs from the trees. 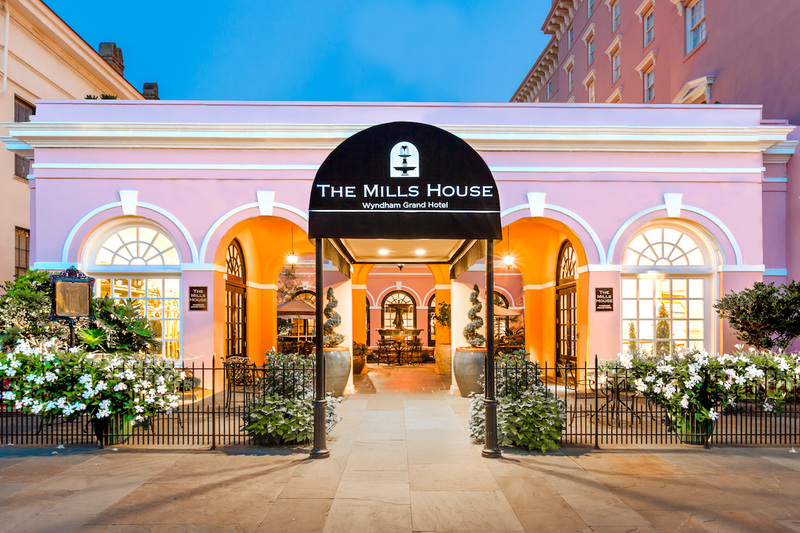 Perhaps nowhere else in this old Southern city is as famed for its spiritual side than the Mills House. It dates back to 1853 and is now the Mills House Wyndham Grand Hotel. The hotel’s glorious architecture notwithstanding, this Charleston’s icon in the city’s Historic District is steps from King Street and solemn graveyards, chock full of ghostly tales, and among the most popular stops on Charleston’s many ghost tours. The accounts of haunted encounters by guests are vast and credible, including those experienced firsthand by the author of this story and her traveling companion. They include items moving from one side of the room to the other while its occupants slept, waking up to see a man in Confederate uniform and woman in Civil War dress sitting at the end of the bed, and witnessing the elevator going to and from certain floors — not commanded by human passengers. Other sightings have included a woman from the 1800s in a purple dress between the hours of 11PM and 1AM in the rear lobby, perhaps a specter from the days when the hotel was a healing place for burn victims in the wake of the destructive Great Charleston Fire of 1861, during which Robert E. Lee was a guest at the Mills House before reportedly being moved to a safer location on the Battery. Don’t miss a cocktail in the ornate Best Friend Lounge before or after dinner where serious imbibers revel in rare liquors and luscious cocktails. Make a reservation at Barbadoes Room in The Mills House. Meet the Vandevroot sisters. Their spirits enjoy roaming the streets of New York City looking for husbands, claiming Delmonico’s Restaurant as their landmark haunt. Delmonico’s Restaurant embraces these sibling residents with their very own “suitor séance” martini, Delmonico’s head bartender Marina Zivic’s take on a pumpkin spice martini with made with vanilla vodka, pumpkin liquor, Cointreau, and star anise. These sassy sisters were the offspring of a wealthy father who controlled their every move and wouldn’t permit them to trek the streets of Manhattan without a chaperone. 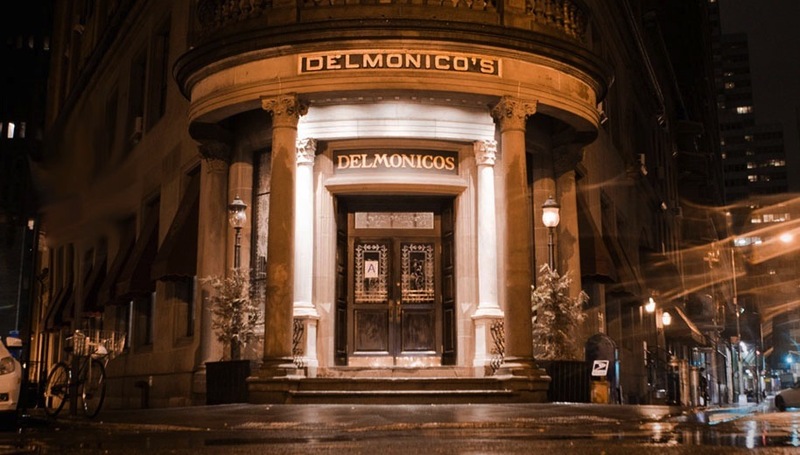 Delmonico’s, the only restaurant at the time which permitted women without a male chaperone and the Central Park Skating Pond were the limited places the Ms. Vandevroots could go unattended. Though they died unmarried, their ghosts have plenty of admirers who come to Delmonico’s for a glimpse of the ladies in 19th-century dress, in search of suitors around their beloved Wall St. steakhouse. Make a reservation at Delmonico’s. 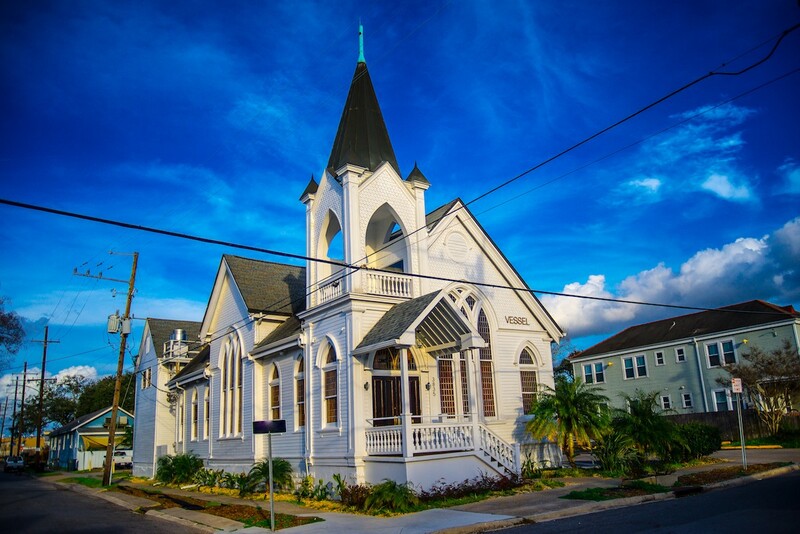 As Alec Wilder of Vessel in New Orleans says, if you’re looking for a spooky setting, “You have certainly come to the right place – we are haunted – both previous owners experienced this and we do all the time.” Located in a former 1914 church in mid-city New Orleans, Vessel owners through the years have reported pots and pans clanging in the kitchen when no one is there and the scent of incense only in certain areas of the bar, along with shadows and outlines of monk-like forms throughout the building. Wilder says also things disappear from their regular places and there are strange noises in the main room while the upstairs office is occupied, though no other people are in the building – most of the occurrences happen when there are but one or two people present in Vessel, including seeing the shadow of a small boy walking in front of the outdoor fountain on several occasions. Most unsettling was the time the chef set the alarm and walked out the door, after which the door began to violently shake as if someone were desperate to escape the building. During a peek through the window, the chef saw the room completely empty. And the door shook no more. Make a reservation at Vessel. Stalking the upper rapids of Niagara Falls, the circa 1920s Red Coach Inn was built in the architectural style of the old English Tudor period. Here diners can watch the water crashing in all its mighty glory in the Rapids Room and spend the night in the inn. They can also watch things fly about for no reason, propelled by no one or listen to music no human is playing and the sounds of footsteps above them, though there are no floors overhead. Could they be ascribed to the bride and groom who took their lives on their wedding day? Perhaps, especially if you ask the little boy who reported seeing a woman in a white dress floating in the rapids, though there was nobody. The Red Coach Inn was featured as the haunting of Bernie Kopell on Celebrity Ghost Stories and is part of the Haunted History Trail of New York State. Make a reservation at The Red Coach Inn.